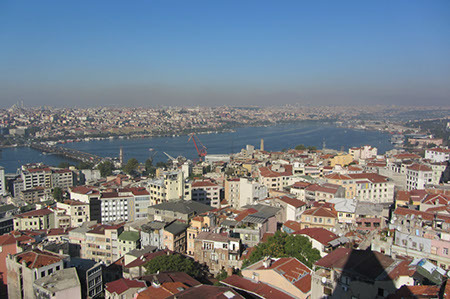 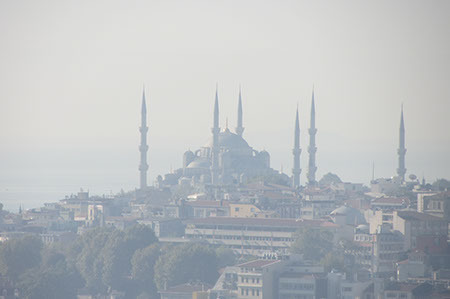 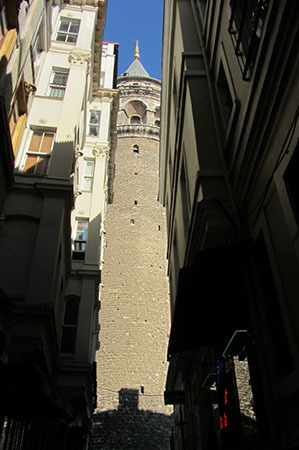 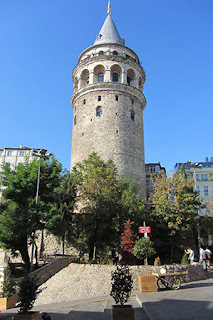 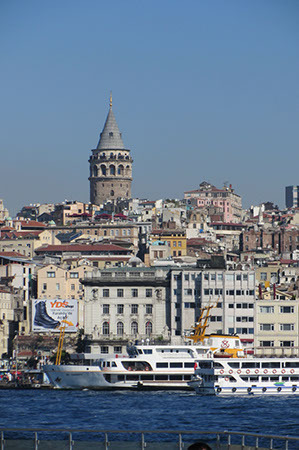 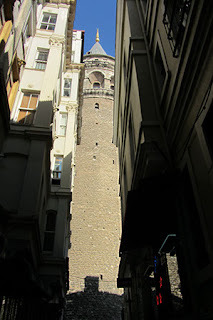 That is the Galata Tower which will be instantly recognisable to those of us who've played Assassins Creed. 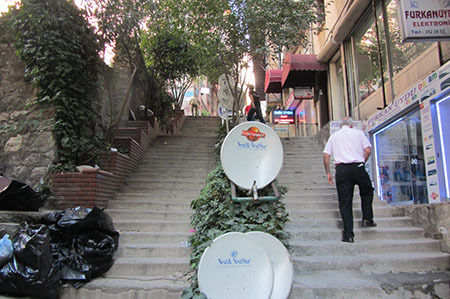 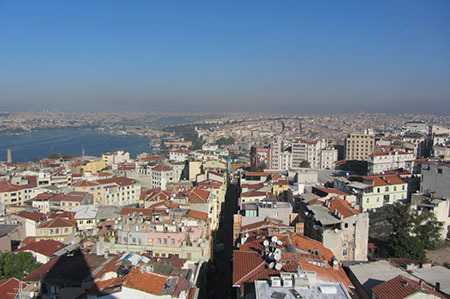 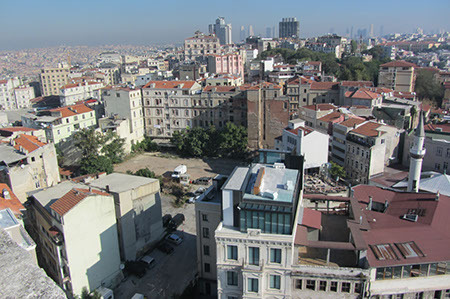 It's a short but steep climb from Karakoy tram station. 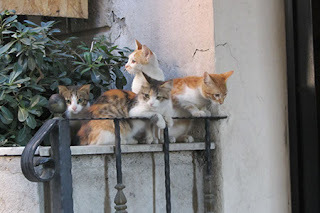 and beware of the wild creatures that plague the ascent. After the climb you'll come to tower which is quite majestic and historically served as a firewatch tower over the city. Ironic that it caught fire at one point. The view from the top is pretty decent. 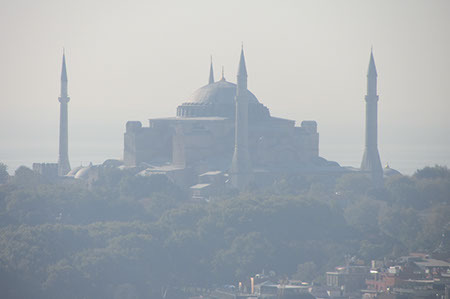 I'd unfortunately encountered some morning haze that killed the view a little bit. 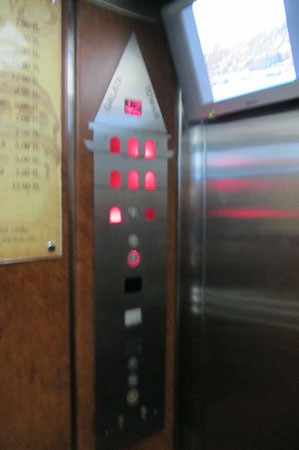 For those that don't wish to ascend by climbing the exterior there's an elevator.